This is a one of a kind handcrafted bubblegum bead necklace. 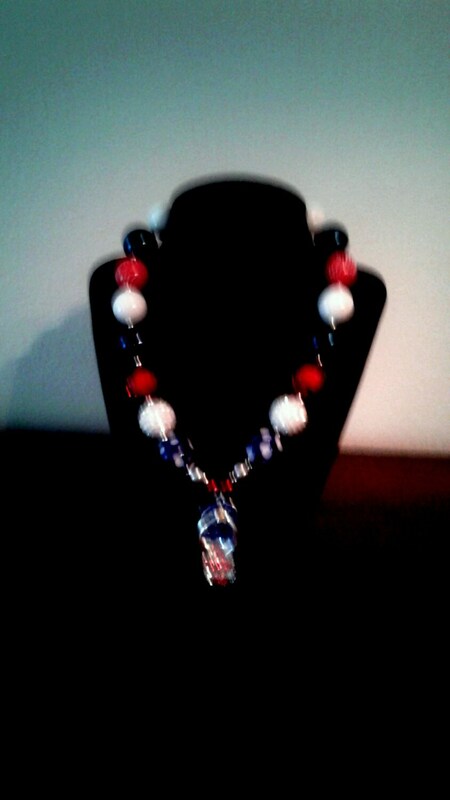 I used a rhinestone red,white and blue flip flop pendant. The beads are strung with beading wire ,spacer beads and finished with clasp. I have used rhinestone beads,acrylic beads with sparkles and stripes. The necklace measures 18' without pendant. 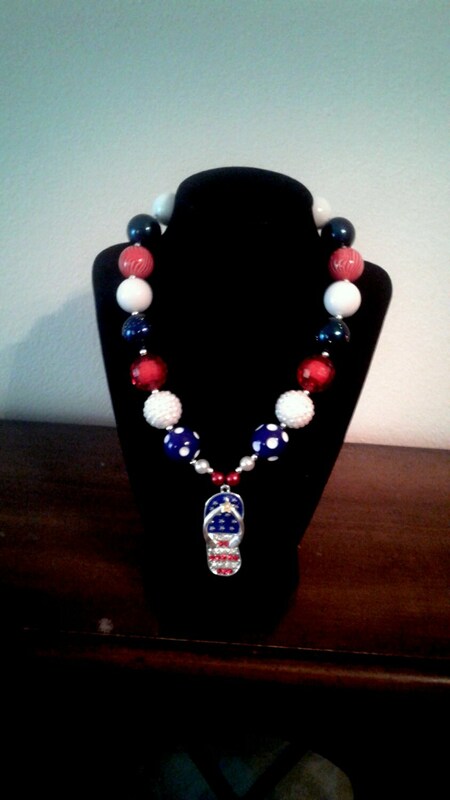 Each necklace is handcrafted and made by me making them a one of a kind. Do not leave small children unattended when wearing necklace, it contains small pieces that may cause chocking hazard.